I am blessed to be raised in a small town. It is my belief that many of the positive values I learned growing up has influenced the decisions I’ve made in my life. As the daughter of a Social Worker, I was raised to have compassion and a heart to help others. I studied at OSU and received a degree in Psychology which I used to help women and children. Before I married my husband, I worked at Head Start with families and children and at the Madonna House Shelter in Tulsa as a Social Worker. The Madonna House is a shelter for homeless, pregnant women. Managing charitable givings for my husbands company was a natural fit for me. Since I moved to The Dallas area, The Big Brother, Big Sister organization and The Family Place, the largest domestic violence agency in Dallas, have been the focus of this passion. Having a place in the Real Housewives of Dallas cast has been surreal. My hope is to shine a light on important issues of domestic violence prevention and the importance of mentoring girls and boys to empower them to make positive, educated choices. I also hope to reflect the powerful impact of kindness. We don’t have to be perfect to be valued. Sometimes we take ourselves and our circumstances too seriously. It’s important to bring a balance of humor and silliness to lighten life’s load. It has been said that good news doesn’t sell. Everywhere we turn we hear doom and gloom but, if we take the time to look around, we will see that beauty is all around us. We are blessed and have much to be thankful for. I started this website after receiving an outpour of love on social media regarding fashion and beauty. At the time, season one of Real Housewives of Dallas had just finished airing and I thought what a fun new project this would be. During a year of new for me, I figured, why not? Blogging quickly turned from a project into a passion and I have have enjoyed sharing my day-to-day life with you ever since. I sincerely thank you for blessing me with your love, support and encouragement. Chance: Chance is my kind, loving, affectionate and thoughtful soon to be 7 year old who is compassionate and caring toward his family and friends. Stephanie is not the only go-getter at home. Her husband Travis Hollman is quite busy as the president and owner of Hollman Inc., the company started by his father 39 years ago, Joe Hollman. Hollman Inc. is currently the leading manufacturer of wood and laminate lockers. Hollman Inc.’s product has outfitted gyms such as L.A. Fitness and Planet Fitness, Country Club lockers, college athletic programs such as Texas A&M and Michigan State, and for the Indiana Pacers. That’s some pretty wide-ranging lockers! In fact, you’ve probably stuffed your gym bag in one of Hollman’s lockers at one point or another. But it’s not all business in the Hollman companies. 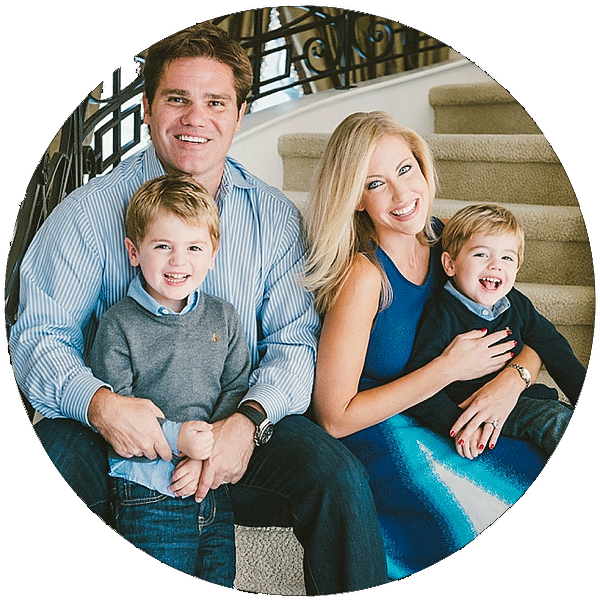 Biz whiz Travis Hollman is also a “fun-preneur” who has invented an entire company based on of fun. His Marshmallow Shooter toy, which has reaped great success, is one of the hottest innovations on the market, getting everyone in the family in on the action. Travis has also spearheaded a hot new show called Bully Beatdown (ranking as the #2 show on MTV) and a nationally distributed beverage called “Vacation in a Bottle”, which is now in production.